Hickory Nut Gap was a through road for the drovers taking their animals to the markets in the foothills. Our family history began on this land in 1916 when Jim and Elizabeth McClure settled here after their honeymoon. 102 years later we continue to be stewards of the land nestled in the Blue Ridge Mountains on the Continental Divide in Buncombe County. Cherokee and other Native Americans inhabited the Blue Ridge Mountains prior to the 1800s. Before becoming a corn maze, we used to call this pasture the Field of Arrowheads due to the high number of arrowheads we would find in the field. Bedford Sherrill builds Sherrills Inn as an overnight accommodation for hog drovers and other travelers going from Asheville, NC to Rutherfordton NC. Hog drovers finished hogs on the chestnut mast every fall and herded their pigs down to South Carolina and the piedmont of North Carolina for farmers who primarily grew cotton. The industry was very important to western North Carolina from the 1830s until the Civil War. Railroad comes over the Swannanoa Gap effectively ending the Drovers industry. Western NC is in the economic doldrums due to post Civil War economic conditions. 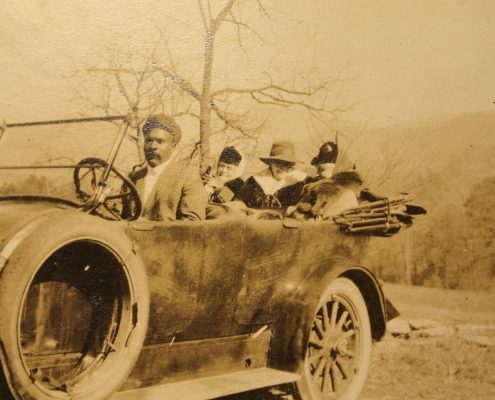 Jim and Elizabeth McClure arrive in Hickory Nut Gap in their “Honeymoon Hudson” automobile as they travel from Chicago to WNC during their honeymoon. They fall in love with the old Sherrill’s Inn and the surrounding farm. Elizabeth devoted herself to restoring the old inn and it’s landscaping which is still a prominent feature of the extended family home. On April 30th, 1918 Jim McClure held the first official meeting of the Hickory Nut Gap Farm Company. 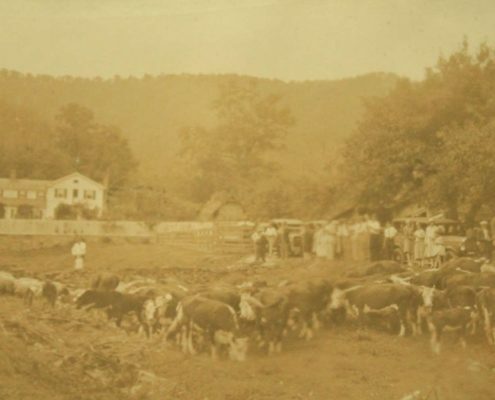 In 1920, Jim McClure initiated the visionary Farmers Federation, a cooperative organization to bring better agriculture to Western North Carolina. We Plow God’s Fields tells the story of the McClures and the Farmers Federation. The Farmers Federation blossoms into a large organization with branches throughout WNC. Jim McClure successfully leads fundraising efforts with classmates and other contacts from Yale in New York City. The McClures’ oldest daughter Elspeth ends up working in Charleston during World War II and falls in love with Jamie Clarke. The two get married and move back to Hickory Nut Gap Farm to work with the Federation. Jamie and Elspie Clarke have eight children and raise them all at Hickory Nut Gap Farm. They continue to operate the farm raising apples, beef cattle, dairy cattle, and work for the Farmers Federation. Farmers Federation ends due to economic hardship. This is a very important turning point for agriculture in western North Carolina. Jamie Clarke Represents District 11 in the US House of Representatives. The dairy farm is the primary economic activity on the farm and is economically struggling as dairy as all of agriculture has a “get big or get out” economic environment. Apples are sold in the driveway stand to the tourists driving to Chimney Rock and Lake Lure at the Sherrills Inn, know more familiarly known as the Big House. The family sells the dairy and Annie Ager, one of Jamie and Elspeths’ eight children manages the apples, horses, sheep, pigs and laying hens on the farm from a day to day basis while raising four sons with John. Jamie and his brothers,with lots of help from the community, help their Mom feed animals, make hay, birth lambs and calves throughout the year. Jamie Ager and Amy Frey graduate from Warren Wilson College, and begin participating in the farm with a vision to grow pasture raised meats and market them to local folks in the community and beyond. They marry in 2001 and have three children between 2004 and 2009. Jamie takes NC State Ag Leadership Class and meets Sam Dobson, a dairy farmer from Iredell county. Sam and Jamie begin partnering on scaling the grass finishing model. Earth Fare Westgate begins buying ground beef and Greenlife (now WholeFoods) purchases one cow a week inspiring the first regular sales for what is to become the wholesale focus of Hickory Nut Gap. The old dairy barn, which served as the farm store, shop and offices, burns down in the middle of the night in February from a heat lamp warming lambs that ignited the hay. A neighbor hosts a fundraiser to help clean up and rebuild. Amy and Jamie spend the year building the farm store and continuing to sell meat in bulk to customers. The apple stand is relocated from the Big House to the Farm Store, former site of the Dairy Barn. Agritourism activities such as the corn maze and pumpkin patch are launched. The descendants of Jamie and Elspeth Clarke which collectively make up the Clarke, Ager and Hamilton families decide the farm should go into an agricultural conservation easement. This decision is critical to the future of the Hickory Nut Gap business under Jamie and Amy’s ownership as it means the farmland will remain in agricultural production for perpetuity. Hickory Nut Gap plants blueberries, blackberries, and raspberries to help extend the agritoursim season and diversify production. The Dairy Barn Apple Orchard is planted. Hickory Nut Gap receives organic certification for the land in production. The business split their finances and operating structure. Hickory Nut Gap Meats is focused on wholesale and growing the demand for 100% grassfed beef and pasture raised pork while supporting regenerative agriculture in the region. 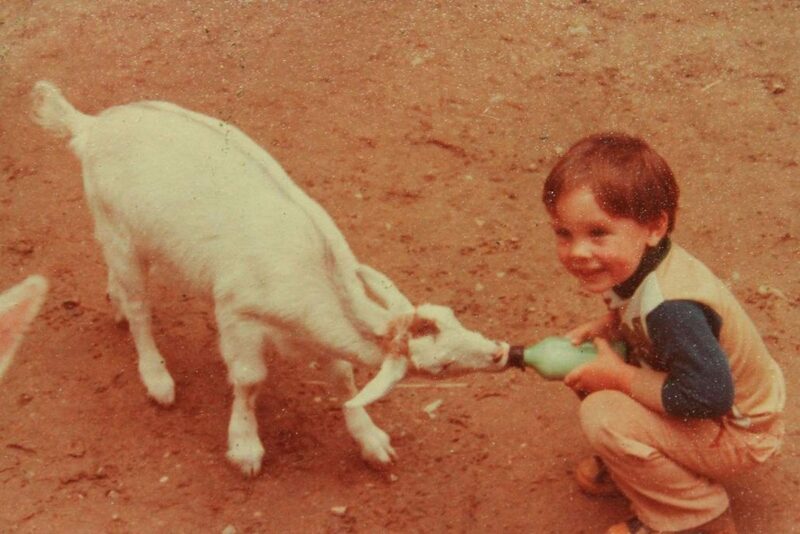 Hickory Nut Gap Farm remains as the place where the community can gather to share in the family farm experience. Addition is built onto the back of the store to add an inspected kitchen so that the farm can further utilize and add value to their products through offering lunch, catering and custom butchered cuts to customers. HNG Meats develops a strategy to scale the pasture raised and 100% grassfed meats supply chain. The team, operational systems and structure are formed to execute this vision while solidifying the activities and community engagement to support this vision at Hickory Nut Gap. The Big Barn, historically the loafing barn for the dairy cows, the birthing quarters for the lambs and winter hay storage has been completely cleaned out and repurposed into an event space. 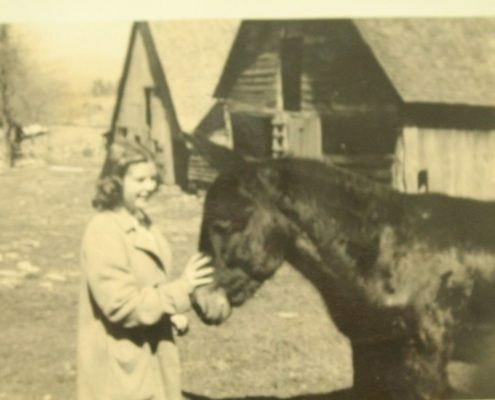 The modern history of Hickory Nut Gap Farm began in 1916, with the arrival of Jim and Elizabeth McClure. Newly married and still on their honeymoon, they fell in love with the old Sherrill’s Inn and the surrounding farm. 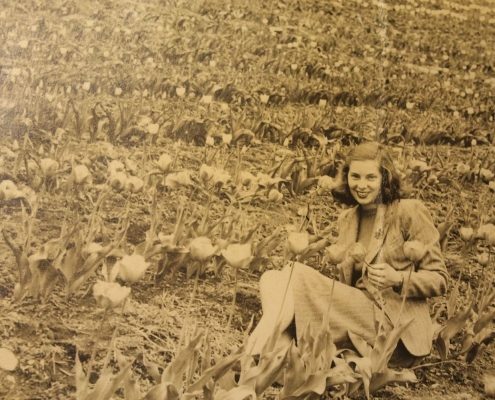 Elizabeth devoted herself to restoring the old inn and its landscaping. 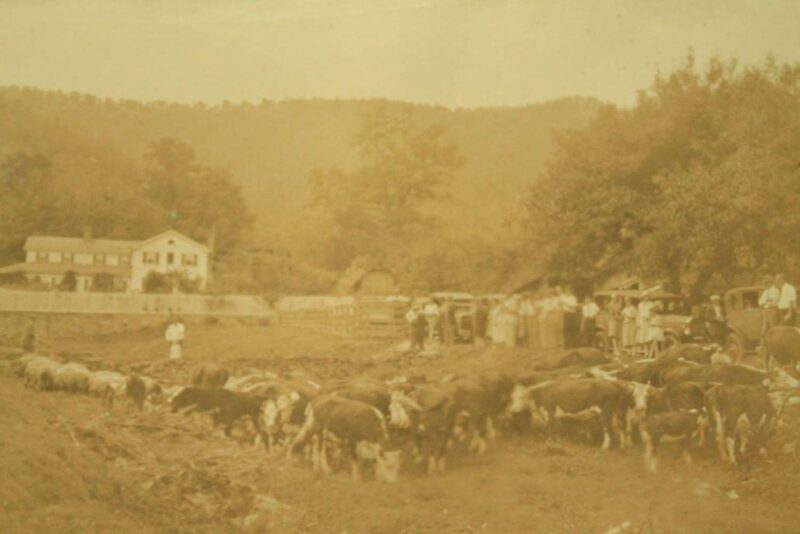 On April 30th, 1918 Jim held the first official meeting of the Hickory Nut Gap Farm Company. Wading into farm work, Jim learned firsthand about the many difficulties of mountain agriculture. We are now five generations of McClure descendants on this land. In 1920, Jim McClure helped found the Farmers Federation. 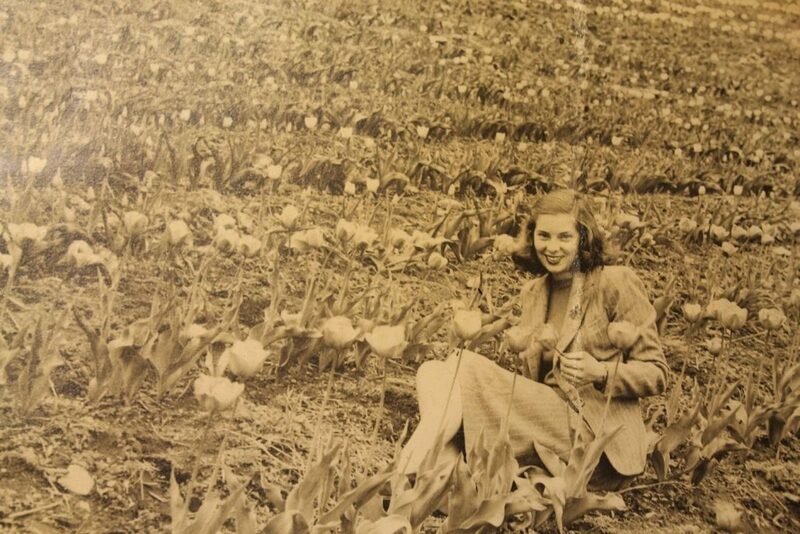 The federation was a cooperative with a vision to improve agriculture in Western North Carolina. 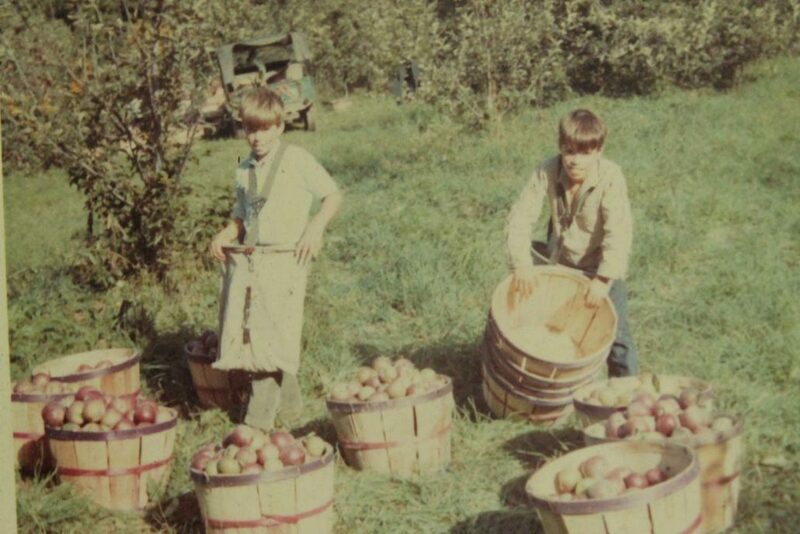 We Plow God’s Fields tells the story of the McClures, the Farmers Federation, and early life at Hickory Nut Gap. Elspeth married James McClure Clarke just after the war. James Clarke became the U.S. Congressman for 3 terms during the 1980’s. They raised eight children on the farm. Under the leadership of the fourth generation, Hickory Nut Gap Farm is enjoying a wonderful renaissance. 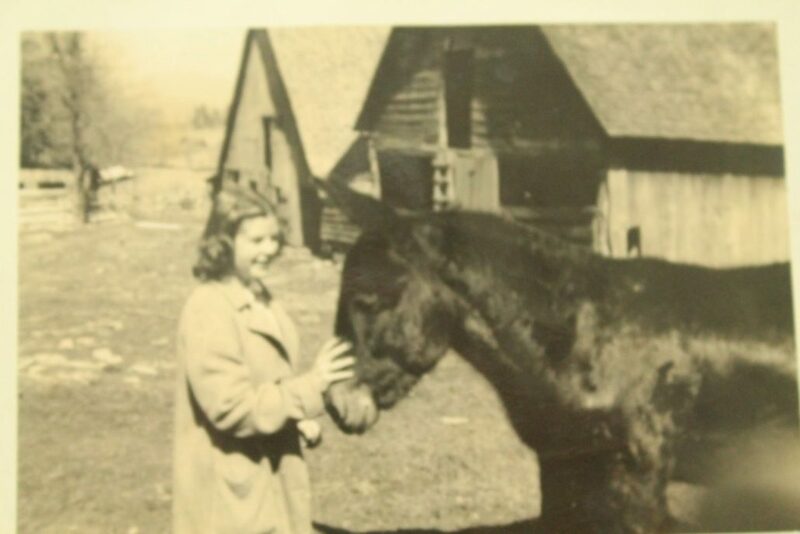 The land of Hickory Nut Gap Farm is jointly owned by the six children of James and Elspeth Clarke. In 2008 the land was put into a conservation easement with the Southern Appalachian Highlands Conservancy. Protected for eternity, the land will remain managed by the family and in the production of their agricultural pursuits. 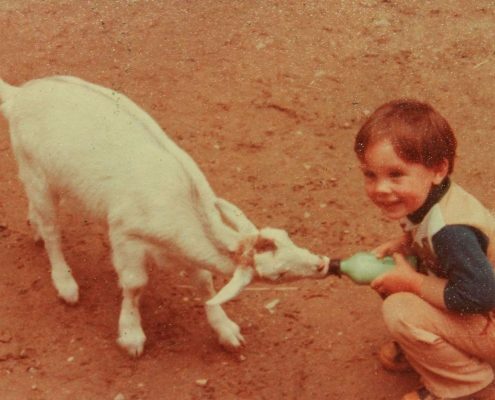 Some of the six children, now grown with children and grandchildren of their own, remain here at the farm and in the area, while some have moved away to pursue a different course in life. This large farm family gathers often as the draw of the family home and its agricultural heritage is still strong. John and Annie (Clarke) Ager host the Hickory Nut Gap Farm Camp. Nearly every day you can catch Annie on horseback with a line of riding students following behind her. John Ager is involved in farmland preservation efforts in the region and a partner in Drovers Road Preserve. John was recently elected as a North Carolina General Assembly Representative. John and Annie had 4 boys: Jamie, Eric, Kevin, and Doug. Amy and Jamie Ager co-own the Hickory Nut Gap Farm business and the brand Hickory Nut Gap Meats. Both are graduates of Warren Wilson College. They have three eager boys who enjoy moving cows and feeding baby chicks. Eric and Rachel Ager currently live in Turkey with their four children. Kevin Ager is in the Army and works in California. Doug Ager lives in Asheville and co-owns the renewable energy company Sugar Hollow Solar with his cousin Phelps Clarke. He can sometimes be seen jogging by the farm on his lunch breaks as their office is located nearby. Dr. Will and Susie (Clarke) Hamilton are both retired are spending time enjoying their family and friends. Will and Susie had 5 children: Annie Louise, William, Elizabeth, David, and Elspie. Isaiah and Annie Louise Perkinson own and operate Flying Cloud Farm, a 14-acres of organically grown vegetables, fruits, and flowers. Flying Cloud Farm offers their vegetables for sale at their roadside stand, local farmers market, and through a CSA. Annie Louise and Isaiah have two daughters. William and Molly Hamilton and their four children live close by Hickory Nut Gap Farm where William grew up. William is the Farmland Preservation Director at the local land trust Southern Appalachian Highlands Conservancy and he is also a real estate broker with Conservation Advisors of North Carolina Inc. Additionally, William serves as a Soil and Water Supervisor for the Buncombe County Soil and Water District. Molly grew up in eastern North Carolina where her grandfather farmed small grains, cattle, and pork and she serves as the Extension Assistant for NC State University Organic Grain Project. Molly is also a partner and operator of Farmer Jane Soaps. 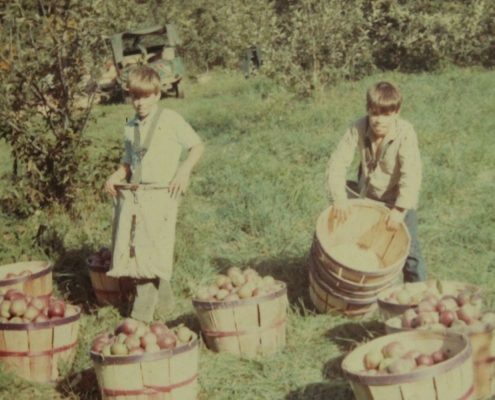 With help from their three boys, Elizabeth and Fred Bahnson are cultivating a bio-intensive garden and permaculture orchard in Brevard. Elizabeth, former fiddle player for the Steep Canyon Rangers, is still a musician whose most recent album with Charles Pettee and FolkPsalm is entitled The Way of Manna. She currently teaches fiddle lessons. Fred is the author of two books, Making Peace with the Land and Soil and Sacrement. Elspie Hamilton is currently living and working in Yosemite National Park teaching environmental education and exploring the high peaks as an avid rock climber. Jim and Francine Clarke live in Cornelius, NC. They have a daughter, Sharon Cox (who is married to Jamey Cox), and three grandchildren, Hallie, Annalise, and Benjamin Cox. They and their family enjoy occasional visits to Hickory Nut Gap Farm. Hallie, Annalise, and Benjamin have greatly enjoyed participating in the HNGF horse camp, both as campers and as counselors. Billy and Cindy Clarke live here in Fairview, NC. Billy is an environmental lawyer at Roberts & Stevens Law Firm and Cindy works at UNC Asheville with the Family Business Forum. Their growing family adds to the clan. Phelps Clarke co-owns Sugar Hollow Solar with his cousin, Douglas Ager. Winslow Clarke Dean and husband Matt have Asheville Stone in Fairview. Durban Clarke Zaunbrecher and her husband Austin live in New Orleans. Wills is busy as a student at Christ School. 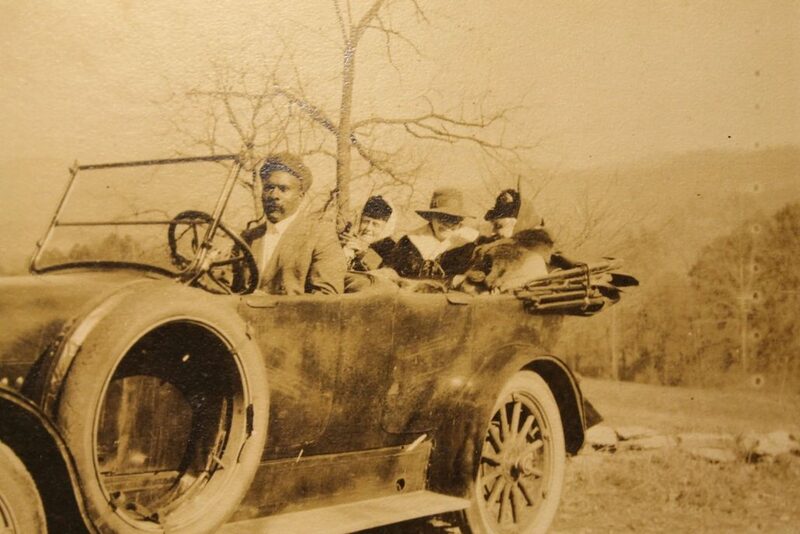 Dumont Clarke and his wife, Shirley J. Linn, live and work in Charlotte NC. Dumont is of counsel at the law firm Moore & Van Allen PLLC and also serves as Vice Chairman of the Board of County Commissioners of Mecklenburg County. Shirley is Executive Vice President and General Counsel of FairPoint Communications, Inc. They also own a house on the edge of the farm here and visit the expanded farm store whenever they are here. They have two daughters, Elizabeth and Deborah. Elizabeth is a 2007 Duke University graduate who is a US Navy intelligence officer and always on the move. Deborah, a 2009 Davidson College graduate, has been a teacher at The Hotchkiss School and Charlotte Latin School and is about to receive her M.A. in history from the University of Illinois at Chicago. Doug and Betsy Clarke live in a house they built here on the farm. They have four children, Mark, Lily, Zoe, and Charlie. Doug manages the upkeep of the family home and grounds. Betsy is a hospice nurse at The Elizabeth House in Flat Rock NC.